Not to be confused with GLO Airlines. Gol Linhas Aéreas Inteligentes S.A ("Gol Intelligent Airlines S.A." also known as VRG Linhas Aéreas S/A) BM&F Bovespa: GOLL3, GOLL4 / NYSE: GOL is a Brazilian airline based in São Paulo, Brazil. The company is the largest low-cost airline in South America and the second largest Brazilian airline company by market share and fleet size, after LATAM Brasil. Gol competes in Brazil and other South American countries with Chilean LATAM Airlines Group, Brazilian Azul and Colombia-based Avianca Holdings S.A. It also owns the brand Varig, although now that name refers to what is informally known as the "new" Varig, founded in 2006, not to the extinct "old" Varig airline, founded in 1927. According to the National Civil Aviation Agency of Brazil (ANAC), between January and December 2015 Gol had 35.9% of the domestic and 13.6% of the international market shares in terms of passengers per kilometer flown, making it the second largest airline in Brazil, after LATAM Brasil. Gol operates a growing domestic and international scheduled network. Its main hubs are São Paulo–Guarulhos International Airport, Rio de Janeiro–Galeão International Airport and Tancredo Neves International Airport near Belo Horizonte. Gol also has focus operations at Rio de Janeiro-Santos Dumont Airport, São Paulo-Congonhas Airport, Salgado Filho International Airport in Porto Alegre Gol refers to itself as Gol Intelligent Airlines (Gol Linhas Aéreas Inteligentes in Portuguese) as a slogan. The company is traded on the New York Stock Exchange as "GOL Linhas Aéreas Inteligentes S.A."
The company's name is not an acronym or abbreviation, but an actual word: gol is a Brazilian Portuguese and Spanish word borrowing from the English word "goal" (from Association football/soccer). The airline was established in 2000 and started operations on January 15, 2001 with a flight from Brasília to São Paulo. It is a subsidiary of the Brazilian conglomerate Grupo Áurea, based in Minas Gerais state, which has other transportation interests, including Brazil's largest long-distance bus company. Grupo Áurea in turn is owned by the Constantino family. As of 2004, Gol had carried 11,600,000 passengers, and constituted 20% of the Brazilian air travel market. Constantino Júnior was responsible for building the business next to the vice president of the company, David Barioni. On June 24, 2004 Gol launched simultaneous initial public offerings on the New York and São Paulo stock exchanges. In 2007, Gol was owned by AeroPar Participações (75.5%), Venture (17.6%), American International Group (5.4%) and Air France-KLM (1,5%). The growth in Gol's stock price made the Constantino family a member of the Forbes magazine billionaire list in 2005. In 2007, Gol was supposed to begin a code-share agreement with TAP Portugal, opening the European market to the Brazilian airline, and the internal Brazilian market to the Portuguese airline (the largest foreign airline in Brazil). Instead, TAP Portugal chose to cooperate with TAM Airlines (TAM Linhas Aéreas). On February 24, 2010 Gol announced to be in "advanced talks" to join Oneworld alliance, which would allow it to catch up with rival TAM, a recent member of Star Alliance. However, on October 6, 2010, the airline announced a change in position by denying any interest in joining an alliance, preferring to remain independent and to establish a "patchwork of code-sharing agreements." Following this trend, on September 28, 2011 Gol and Aerolíneas Argentinas announced the intention to implement a codeshare, feeder and frequent flyer programs agreement on a date yet to be announced and pending approval from the governments of Brazil and Argentina. On March 18, 2010 Gol unveiled the expansion of its maintenance base located at Belo Horizonte/Confins - Tancredo Neves International Airport. Originally opened in 2006 with the capacity to service 60 aircraft per year (mainly Boeing 737 and 767), the expansion allowed Gol to increase the number to 120. Gol later started also using the base to service aircraft from other airlines, and as of 2013 it also serviced airplanes from Azul Brazilian Airlines and Copa Airlines. On December 23, 2010, Gol Airlines started an operational partnership with Brazilian carrier Passaredo Linhas Aéreas. The agreement was rescinded on July 31, 2014, when Passaredo established a similar interline agreement with TAM Airlines instead. On December 7, 2011, Gol announced the intention of Delta Air Lines to purchase 3% of its shares. The agreement also includes the creation of mutual code-share flights, alignment of frequent flyer benefits and transfer of Gol's Boeing 767s lease agreements to Delta. On October 1, 2012, Gol confirmed a firm order of 60 Boeing 737 MAXs. References did not specify the type of MAX aircraft. On October 6, 2012, Gol started seasonal operations to Miami and Orlando, available for Smiles account holders and originating in Brazil only. Technically, they are considered charter flights, although they are not necessarily part of an inclusive tour package; the use of miles or miles plus money is mandatory, as well as a minimum 7-day stay at the destination. On 23 January 2013, the Jet Airliner Crash Data Evaluation Centre (JACDEC) announced that Gol Airlines had the fourth worst safety record in the world. The ratings take into account the number and deadliness of the hull losses (destroyed airplanes) they have suffered in the past 30 years, how they have fared more recently, and how many flights they have flown without incident. The results do not take into account the cause of the hull losses, or whether the airline is at fault, so they are not a perfect measure of how safely an airline behaves. It should be noted that since Gol is a relatively young airline with only one hull loss, but with a large number of casualties (Flight 1907), that single fatal accident significantly affects the calculation. In February 2014, Air France–KLM announced it would invest $100 million in Gol Linhas Aéreas Inteligentes in advance of the 2014 FIFA World Cup and the 2016 Olympics. Some disagreement exists as to whether Gol is a low-cost carrier. In 2014, Gol was ranked the second best low-cost airline in South America after Azul. Gol refers to itself as a low-cost carrier, but it is increasingly not regarded as such. According to UFRJ specialist Elton Fernandes, "Gol's costs are not very different from those of TAM Airlines. People are accustomed to calling Gol low-cost, but Gol is not that. It is not even low-fare anymore." On March 28, 2007 Gol officially purchased part of the assets of VARIG - VRG Linhas Aéreas, informally known as the "new Varig," a new company that owned the Varig brand, for US$320 million from Volo Group and MatlinPatterson Global Opportunies hedge fund. At that time, the "old Varig" was under bankruptcy protection. Gol announced that the Varig brand would continue doing business operating as such, rather than its official name VRG Linhas Aéreas. The transaction, via its GTI subsidiary, required a US$98 million cash payment, with the balance through the allocation of non-voting shares to VARIG Logística and Volo, which had acquired VARIG in June 2006 for US$24 million. The transaction did not involve the original airline, informally known as "old Varig," which continued to exist until its own bankruptcy in mid-2010 under the name Flex Linhas Aéreas. In 2009 Gol was merged into VRG Linhas Aéreas. VRG Linhas Aéreas thus became an airline that operates two brands: Gol and Varig, although in reality flights are operated only under Gol flight numbers. Initially, the Varig brand operated to medium-haul scheduled and charter international destinations within South America and to the Caribbean with Boeing 737-700's configured in two classes, and to long-haul charter international destinations in North America, Europe and Africa with Boeing 767-300ERs configured in economy only. The latter were also used in wet-lease operations. This scheme was later dropped. The brand Gol operates most of the flights of the network, and had aircraft configured in all-economy class, used for scheduled domestic and international operations within South America. Because of contractual obligations, between 2006 and 2009 the "new Varig" (VRG Linhas Aéreas) was obliged to purchase a minimum of 140 hours/month of services from the "old Varig" (Flex Linhas Aéreas). Therefore, at that time, some of VRG Linhas Aéreas flights operated with Gol flight numbers but were actually flown with chartered aircraft from Flex Linhas Aéreas. The agreement ceased before the bankruptcy of Flex on August 20, 2010. On July 9, 2011, VRG Linhas Aéreas, owner of the brands Gol and Varig, announced the intention to purchase full control of WebJet Linhas Aéreas. The purchase contract was signed on August 2, 2011. On October 10, 2012 the purchase received its final approval with some operational restrictions from the Brazilian regulatory agency. Services were integrated but both companies continued to operate independently for some weeks. Integration started on October 17, 2012 when sales requested via Webjet's web-portal started to be redirected to Gol's site. 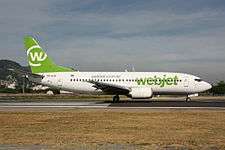 However, on November 23, 2012 Webjet abruptly ceased to operate and all services were incorporated by Gol. 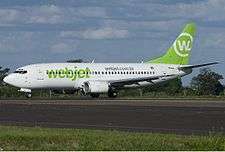 The Webjet brand ceased to exist. Gol also announced its intention to return all of Webjet's Boeing 737-300s to lessors until the end of the first quarter of 2013. There was no mention to the fate of Webjet's 737-800s. Boeing 737-700 29 — 42 104 144 The seats in rows 1-7 have 10 cm extra space and 50% more reclining called Gol+ Conforto. The total may include some 737-900ERs. 3 aircraft being dumped to Delta Air Lines to maintain capacity discipline. Delivery of other aircraft were postponed. Smiles is Gol/Varig's Frequent-flyer program since July 20, 2006. Points can be used for services from Gol/Varig, and partners Aerolíneas Argentinas, Air France, Delta Air Lines, Iberia, KLM and Qatar Airways including flights, upgrades, holidays, hotel stays and car rentals. Smiles was part of the "new Varig" package bought by Gol, which honored all miles and eventually became its own frequent-flyer program. Previously Gol had no such program. On a study conducted in 2011, Smiles ranked third among 24 chosen frequent flyer programs, with 97.1% success of requests made. In 2013, Smiles was spun off as an independent company  eventually leading to its IPO at BOVESPA on April 2013. 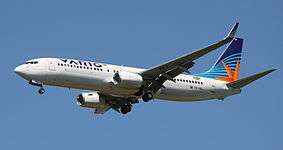 On September 29, 2006, Flight 1907 operated by Boeing 737-800 SFP registration PR-GTD, disappeared from radar while flying over the central-western state of Mato Grosso en route from Manaus to Brasília and Rio de Janeiro-Galeão. The aircraft collided in mid-air with an Embraer Legacy 600 business jet, registration N600XL, near the town of Matupá, 470 miles (760 km) south of Manaus. The Gol aircraft crashed in the Amazon jungle, leaving no survivors among its 154 occupants. The wreckage was found a day later. The Legacy jet landed safely at Cachimbo Airport, part of the Brigadeiro Velloso Test Range of the Brazilian Air Force, with damage to the tail and left winglet. ↑ "Demanda e oferta do transporte aéreo" (in Portuguese). Agência Nacional de Aviação Civil (ANAC). 27 January 2016. Retrieved 16 April 2016. ↑ Home Page (International), Gol Transportes Aéreos. January 4, 2007. Retrieved on June 14, 2009. ↑ "Editorial". Revista Gol Linhas Aéreas Inteligentes (in Portuguese). April 2012. p. 12. ↑ "David Barioni". IstoE. Retrieved June 20, 2016. ↑ "Chamaram o piloto". Exame. Retrieved June 20, 2016. ↑ "Directory: World Airlines". Flight International. 2007-04-03. p. 87. ↑ "Agenzia stampa del settore aeronautico, elicotteristico, aerospaziale e della difesa". Avionews. 2007-06-25. Retrieved 2012-10-07. ↑ "AMR in alliance talks with China Eastern-CFO". Reuters. 24 February 2010. Retrieved 2010-09-20. ↑ Wisnefski, Stephen (6 October 2010). "Brazil's GOL Doesn't See Benefit of Joining Global Alliance". The Wall Street Journal. Retrieved 7 October 2010. ↑ Andrade, Artur Luiz (28 September 2011). "Gol e Aerolíneas Argentinas terão code-share" (in Portuguese). Panrotas. Retrieved 29 September 2011. ↑ Takar, Téo (18 March 2010). "Gol dobra capacidade do centro de manutenção de Confins" (in Portuguese). Valor Online. Retrieved 2010-04-08. ↑ "Centro de manutenção Gol Linhas Aéreas, em Confins" [Gol Linhas Aéreas Maintenance Center at Confins]. Falando de Viagem (in Portuguese). 2013-07-23. Retrieved 2015-02-27. ↑ "Brazil MRO sector poised for major expansion". Flightglobal. 6 July 2010. Retrieved 6 July 2010. ↑ "TAM nega interesse na Passaredo e anuncia acordo" (in Portuguese). Panrotas. 17 July 2014. Retrieved 27 February 2015. ↑ Komatsu, Alberto (December 7, 2011). "Delta terá participação de 3% na Gol" (in Portuguese). Valor Econômico. Retrieved December 7, 2011. ↑ Seabra, Luciana (December 7, 2011). "Gol e Delta firmam acordo comercial para compartilhar voos" (in Portuguese). Valor Econômico. Retrieved December 7, 2011. ↑ Morgan, Adam (October 1, 2012). "Boeing, GOL Announce order for 60 737 MAX Airplanes". Boeing. Retrieved October 1, 2012. ↑ "Voos Smiles para os EUA" (in Portuguese). Gol. September 14, 2012. Retrieved September 19, 2012. ↑ Davies, Alex (January 23, 2013). "The World's 10 Most Dangerous Airlines". Yahoo Finance. Retrieved January 23, 2013. 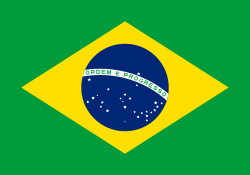 ↑ "Air France-KLM Partners with Brazilian Airline in Preparation for World Cup, Olympics". Ground Report. 20 Feb 2014. Retrieved 10 Mar 2014. ↑ "Best Low-Cost Airlines in South America". Skytrax. Retrieved October 25, 2014. ↑ "Gol passa a cobrar pelo refrigerante e pela batatinha" (in Portuguese). Estadão. Retrieved October 25, 2014. ↑ Jackson Flores (2007-04-03). 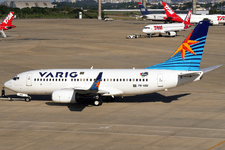 "Brazil's Gol nets ailing Varig successor". Flight International. p. 8. ↑ Komatsu, Alberto (18 March 2010). "Varig vai a Europa e aos EUA com voo fretado" (in Portuguese). Valor Online. Retrieved 2010-03-18. ↑ Niemeyer, Felipe (20 August 2010). "Falência da Flex, Rio Sul e Nordeste: Trip deve assumir" (in Portuguese). Panrotas. Retrieved 20 August 2010. ↑ Bemfeito, Fabíola (July 8, 2011). "Gol compra Webjet por R$311 milhões" (in Portuguese). Panrotas. Retrieved July 9, 2011. ↑ Komatsu, Alberto (August 3, 2011). "Gol e Webjet assinam contrato de compra" (in Portuguese). Valor Online. Retrieved August 3, 2011. ↑ Máximo, Wellton (October 10, 2012). "Cade aprova compra da Webjet mas impõe restrições à Gol" (in Portuguese). Agência Brasil. Retrieved October 12, 2012. 1 2 Andrade, Artur Luiz (July 11, 2011). "Após aprovação da compra, Gol não usará marca Webjet" (in Portuguese). Panrotas. Retrieved July 11, 2011. 1 2 Nogueira, Danielle (October 6, 2012). "Último voo da Webjet está marcado para julho de 2013" (in Portuguese). O Globo. Retrieved October 12, 2012. ↑ Teixeira Alves, Danilo (October 17, 2012). "Integração entre Gol e Webjet começa pelo site" (in Portuguese). Panrotas. Retrieved October 18, 2012. ↑ Aguilhar, Ligia (November 23, 2012). "Gol anuncia encerramento das atividades da Webjet e demite 850" (in Portuguese). Editora Globo. Retrieved November 25, 2012. ↑ "Profile on Gol". CAPA. Centre for Aviation. Archived from the original on 2016-11-03. Retrieved 2016-11-03. ↑ "Frota atual das empresas brasileiras" (in Portuguese). Aeromuseu. December 31, 2011. Retrieved January 2, 2012. ↑ 13 February 2014. "GOL Transportes Aereos Fleet in Planespotters.net". planespotters.net. Retrieved 2014-02-13. ↑ 13 February 2014. "Varig Fleet in Planespotters.net". planespotters.net. Retrieved 2014-02-13. ↑ "Value Airlines Offer Best Reward Seat Availability, British and United Improve Most Among Majors" (PDF). IdeaWorks. May 17, 2012. Retrieved May 23, 2012. ↑ "Smiles' Investor Relations Website". Retrieved December 1, 2013. ↑ Souza, Beatriz (April 29, 2013). "Ações da Smiles sobem 9,2% em estréia na Bolsa" [Smiles' stocks surge 9.2% in the first day at the stock exchange]. exame.com. Retrieved December 1, 2013. ↑ "Accident description N600XL and PR-GTD". Aviation Safety Network. Retrieved 14 May 2011. Wikimedia Commons has media related to Gol Transportes Aéreos.